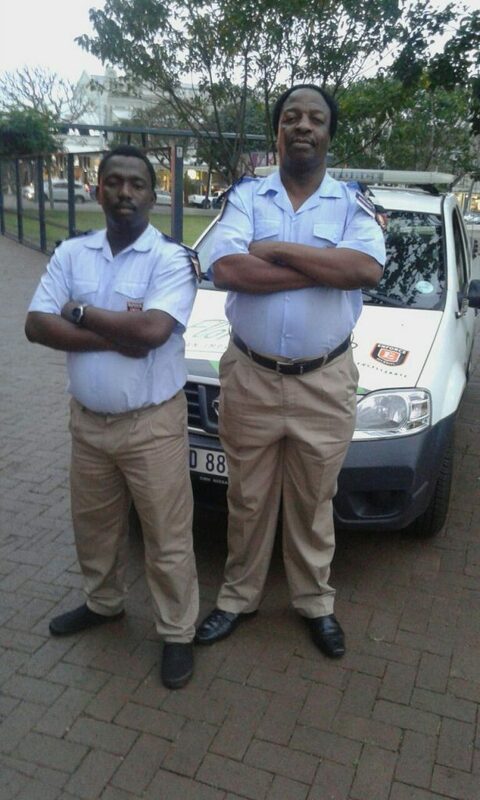 Senior Security Officer Benedict Mncwango and Security Officer Msizi Sikhonde having been rewarded for the arrest of a suspect. Whilst patrolling Florida Rd at 03h00 on the 3rd November, both officers witnessed an individual smashing the front windows of two businesses. An arrest was made and SAPS were called for assistance. SAPS arrived shortly after and uplifted the suspect and a case opened.